Whether your watching your favourite movie or having a good time with your friends and family, chances are you will need some good snacks. 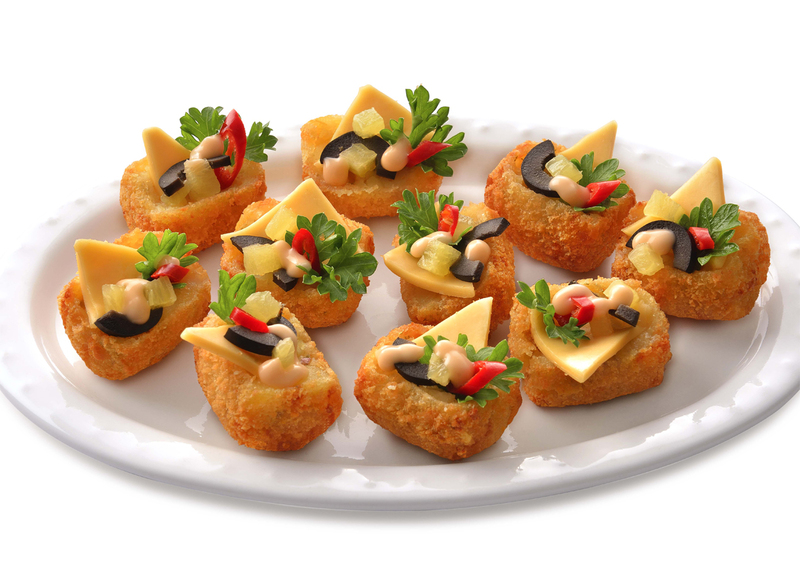 Easy and delicious chocolicious fries and potato cheese canapés are the perfect finger foods to munch away on any occasion. • Make a thick paste with corn flour and water. • Dip the potato strips in the batter and deep fry at 175 degree Celsius for 3 minutes, until they turn golden brown. • Take a pan, add 1 tbsp of honey and a pinch of cinnamon powder and toss the fries in it until they are evenly coated. • Once the fries are evenly coated, add 1 tbsp of almonds, cashews and dates. 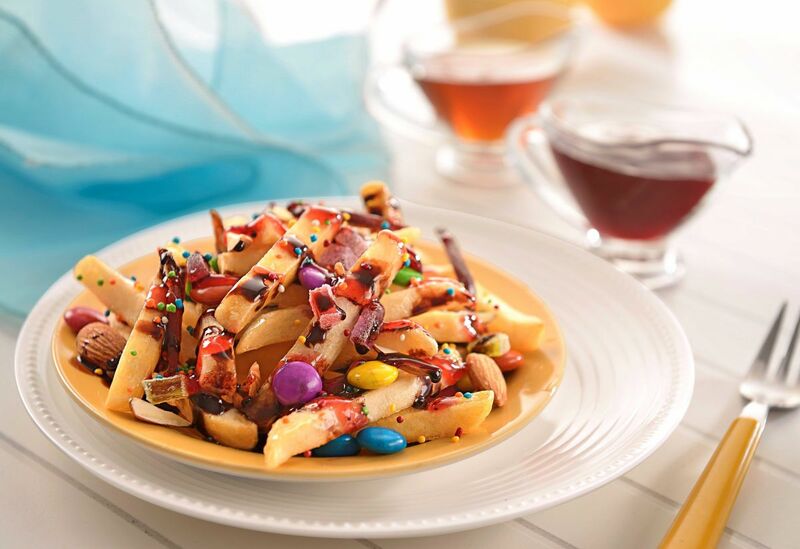 • Now place the fries on a serving dish and garnish with dry fruits and nuts, over this pour chocolate syrup. Make sure to spread it evenly. • Top the dish with strawberry and maple syrup. • Before serving sprinkle some gems and sugar strands. • Deep fry the potato cheese shots 2 ½ minutes at 175 degree Celsius. Slit them length wise into two. • Cut the pineapple and cheese slices into half inch pieces and keep it aside. • Place a cheese slice topped with a pineapple slice. • Pour the Thousand Island dressing on top and place a small leaf of parsley. • Before serving garnish with a slice of olives and red pimentos.